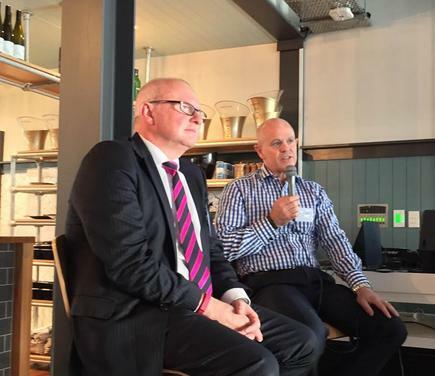 Jason Millett of Westpac and Kevin Angland of IAG talk about their ascent to the role. They also share career insights for up and coming CIOs, and how they see the role evolving. CIOs are relative newcomers to the C-suite, but their rise over recent times has been inexorable, according to the Hays report on the ‘DNA of a CIO’. The CIO is now firmly ensconced in the echelons of senior management, and this is hastened by the rapid advancements in communications and technology. Technical skills are still important, but the “softer skills” are also becoming more prominent for success in the role. 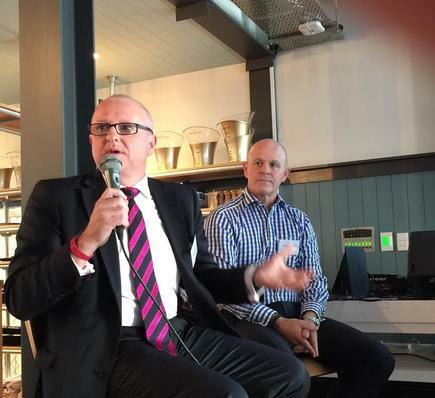 At a recent forum organised by Hays, two top New Zealand CIOs featured in the report - Jason Millett of Westpac NZ and Kevin Angland of IAG New Zealand - discuss their ascent into the role. Kevin Angland thought he was going to be a school teacher. But his first job was at a local insurance company, and he progressed through different roles, including sales, through the industry. A colleague he worked with said he looked good “with a propeller on my head”. At the time he was involved with a major IT upgrade and worked with some external consultants who told him of the value he could add to IT based on his knowledge in the insurance business. So 12 years ago, he started moving towards the IT side of the insurance business. He joined IAG in 2005, and became its CIO three years ago. Jason Millett also took a not too well trodden route to CIO. 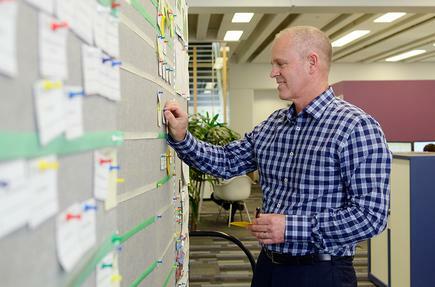 Before moving to the enterprise sector, he spent 15 years with the Royal Australian Navy. He worked on the ANZAC Ship project, the largest ship building project undertaken in Australia. The Navy was a great career, he states, and it turns out, a good introduction to business technology. He “stumbled out the military” and went into consulting. Again, his stint in the military prepared him for this work as he found that he had a real bent for project management. He landed in New Zealand in 1998 to help the Auckland City Council with the hosting of the America’s Cup. At the time, he was working for a consulting firm which worked with local governments that were hosting major events. He then started working in the finance sector, becoming involved in the post-merger integration of Colonial and Commonwealth Bank of Australia. “It became apparent to me that the bank was nothing but a big technology conglomeration,” he says. Partner with everyone, make it your business to understand the business you are supporting. “Obviously there were branches, people and processes but a lot of the people and processes and customer outcomes were all enabled by technology." He attended a business course at the Massachusetts Institute of Technology, which firmed up this insight. “I saw the art of the impossible become the art of the possible,” he states. His current role at Westpac, as interim CIO, is “more of an orchestrator”. He says it would be pretty hard to provide the “right sort of influence” to enable this if the CIO was not at the top table. “I am not a deep technologist. I am just a really good translator in understanding the business,” he states. For Kevin Angland, it is “start with the end in mind”. He finds this useful working in the IT function when someone brings an “opportunity” – i.e. a problem – to work on. The immediate reaction is to dive down in details, he says. But it is very easy to lift people up if you can [talk] to them about what the business outcome is and what we are trying to achieve. Angland is also emphatic about getting people to a “more level playing field” in order to get a great result. “It is great to have a strong view but you have got to allow others to have oxygen in the room,” says Angland. “Be part of the conversation on their views on the table. Millett also agrees with Angland that it is important not to “steal the oxygen in the room” just because you are a CIO. “You should be using your ears more. Guess what, you are in the part of your career where you don’t have all the good ideas anymore. At that time, he was GM for marketing for one of the bank functions. He did learn from one of the best leaders, Sir Ralph Norris. As CEO of Commonwealth Bank, Norris “brought this amazing overlay of putting the customer at the centre”. 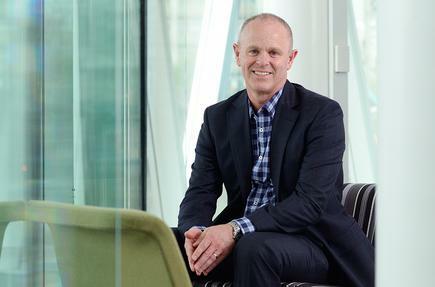 This meant moving the banking side from a product shop into a customer shop, says Millett. Being ethnical is also important, he points out. “If you are in technology and you are not being ethical then don’t be in technology. You are going to ruin it for everyone, and you are going to ruin the industry. Both Millett and Angland underscore the need to be working across all business units. “Partner with everyone, make it your business to understand the business you are supporting,” says Millett. “Don’t narrow yourself,” he states. “Your differentiator in your business as a technologist is your understanding and business acumen. How can we use technology as an amazing differentiator to give business advantage and accelerate benefits? “If you are going to specifically focus within a particular division with your business to partner with, then you are missing the point because the services that you are brokering, the services you are providing, is a holistic enabler for the whole of business. For upcoming CIOs who have done a technical course, Millett recommends doing an MBA and also to major in marketing, finance and accounting because they are the “real conversations the business wants you to have”. Angland concurs with Millett that the real value that IT creates is partnering, and getting to know colleagues across the business. And through customers, understand what they are doing and what their needs are. “It is very, very tightly linked to IT being the heart of the business as a trusted adviser and thought leader,” says Angland. “We can see things and bring things to the table that often cause our business colleagues to broaden their thinking on what is possible. “That is absolutely paramount, you cannot be an IT shop, with just [the] operations aspect. 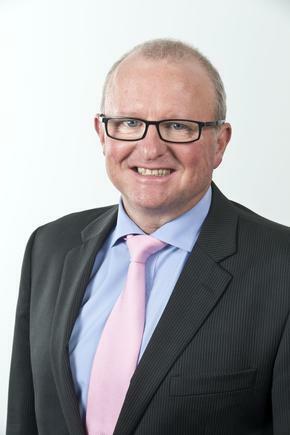 Angland says today there is nothing that occurs in the enterprise that does not rely on IT, whether it is a business process, connecting people to those processes or connecting people to each other, or connecting the organisation to customers. “We joke about being a technology company masquerading as an insurer,” says Angland. “You are almost becoming the service layer to the business that provides the platform that connects the different parts of the value chain that empowers the business. Millett says being able to run reliable, predictable and stable systems is fundamental. “It is table stakes, you can’t even play the game unless” you have those, he states. He does see the CIO taking on a “broker” role. IT is at the heart of what we are doing. Millett says there are three things you have to get right: The enterprise architecture, portfolio and governance. “If you get those three elements right and actually overlay the digital side of that, then the evolving role of the CIO will become the broker of those services. Hays surveyed 243 CIOs, IT directors, heads of IT, vice presidents of IT or CTOs in New Zealand and Australia in August and September 2014. They were asked about their education, background, qualifications, skills, attributes, international experience, responsibilities, challenges and personal aspirations. 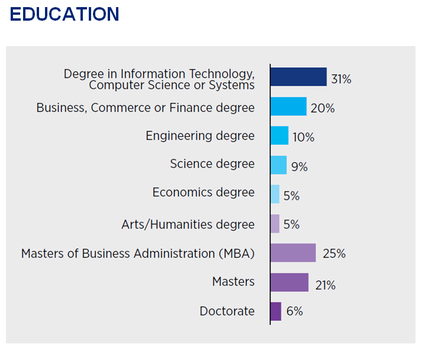 Thirty-one per cent have a degree in IT, computer science or systems, followed by an MBA (25 per cent), a masters (21 per cent) and a business, commerce or finance degree (20 per cent). Fifty-three per cent of CIOs hold IT certifications or have undertaken additional IT qualifications. Four in 10 (40 per cent) have always worked in IT; 44 per cent started out in another role before spending the majority of their career in IT. Once they enter IT, it usually takes 11 years or more to reach CIO level. Thirty per cent have worked for more than five employers and another 30 per cent have worked for four to five. CIOs describe themselves as adaptive (54 per cent), hardworking (49 per cent), proactive (48 per cent) and collaborative (48 per cent). Fifty-seven per cent advise the next generation of CIOs to get involved with the business rather than just the technology. People management (52 per cent), stakeholder engagement (43 per cent), commercial acumen (26 per cent), communication (also 26 per cent) and innovation (21 per cent) skills are all considered more important than technical knowledge (16 per cent). 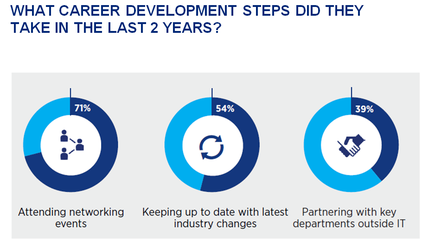 Seventy-one per cent of CIOs have attended networking events in the last two years. The most popular methods of networking with other CIOs are at industry or technical events (75 per cent), followed by networking events (63 per cent) and online via social media (50 per cent). An overwhelming majority (92 per cent) are using LinkedIn. CIOs also invest time in keeping up to date with the latest news or industry trends. They do this through free news websites (71 per cent), subscribed news websites (59 per cent), professional associations (43 per cent), printed journals (36 per cent), iPad app news sites (32 per cent), printed newspapers (31 per cent), webcasts (27 per cent) and podcasts (21 per cent). The CIOs’ focus on continued development of skills is unsurprising since most of them are aspiring for other roles, the report notes. The survey finds 27 per cent of CIOs aspire to a bigger CIO role, such as group CIO or CIO of a larger organisation. Around 15 per cent of respondents aspire to be CEO, with 9 per cent wanting to become COO and another 10 per cent as board director. Meanwhile, 11 per cent want to start their own business and the same number plan a “complete career change”.